I've been a geek since my Commodore 64 days, and a professional geek at organizations from the Fortune 100 to the non-profit space. I've worked agency and freelance, but I've also taught and been a performing musician. Why does this matter? Because being a UX designer isn't about pixels, it's about people. And understanding them is something I am born to do. My work is also informed my play: inspiration from things like my love of Disney Theme Parks, PIXAR, animal behavior, and the space program all make their way into my work. There's plenty that I don't know how to do...yet. But not for long. From the time I first touched technology, or a musical instrument, I never let a question become a stopping point. I'm extraordinarily good at research. If I don't know how to do it, I'm going to find out. Learning is a passion of mine, as is teaching. I carry that passion into leadership, art direction, and UX. UX is both culture and practice, and a good UX designer is a good teacher. From strategy development through ideation, creation, testing and iterative refinement, you'll find I have mastery in every skill area needed to produce and deliver usable and beautiful user experience. User-Centered Design, Empathy, and Design Thinking are words that get thrown around a lot in the tech industry. Moving beyond buzz-words to pleasant, usable, useful experiences requires testing and connection with the user. It also requires the flexibility to be surprised. Testing is all about what you need to learn, when, and from whom. 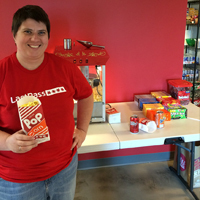 I have significant experience conducting and facilitating user research and data synthesis. I know which testing methodologies will answer a question best, and I capably help teams translate observations and insights into products. Where I go, I make things happen. I have fun and make friends along the way. 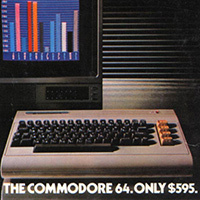 One fateful Christmas, I received my big wish: A Commodore 64 home computer. I was hooked. From faithfully copying lines of BASIC (trying to understand what those lines meant), to my "Hitchhiker's Guide to the Galaxy" (R.I.P., Douglas Adams...) text-based adventure game, to Sid Meier's "Pirates! ": from the moment I read "Press Play on Tape", I was hooked. Next was my NES. Super Mario Brothers, Duck Hunt, Legend of Zelda - I had found a new passion! I reveled in technology, felt the possibilities, even designed mini catalogs where I drew and wrote specifications for computers, devices, and games. I loved design (and maybe even UX) before I had any idea at all what either was: from my Crayola marker set, to inventing elaborate games, with logical rules, carefully drawn on paper...I was a designer in the making. In high school (Danbury High School, Danbury CT - Go Hatters!) I found another passion. I'd played clarinet in band since 4th grade, but my high school band teacher, a guy by the name of Jack Zamary, connected me with a teacher named Mary Jane Rodgers - a teacher who was part of the Visiting Artist Program. 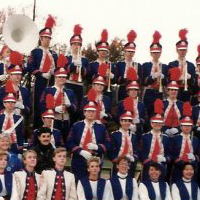 To make a long story short, I began lessons and within a year had made Connecticut's competitive All-State Band. By graduation, I had played at Carnegie Hall, NYC, been ranked the 5th clarinetist out of more than 1,000 who auditioned for CT's All-State Band, and been a finalist in several concerto competitions. I auditioned and was accepted at UConn, HARTT School of Music, but ultimately chose an academic and music scholarship at The University of Massachusetts at Amherst. I went on to graduate with a degree in Clarinet + Music Education and performed with the University Wind Ensemble, including releasing CD's such as "Tears". I also bought my first computer in years: an Apple Performa 6214CD. And logged on to the Internet. I taught clarinet and elementary classroom music for a while. 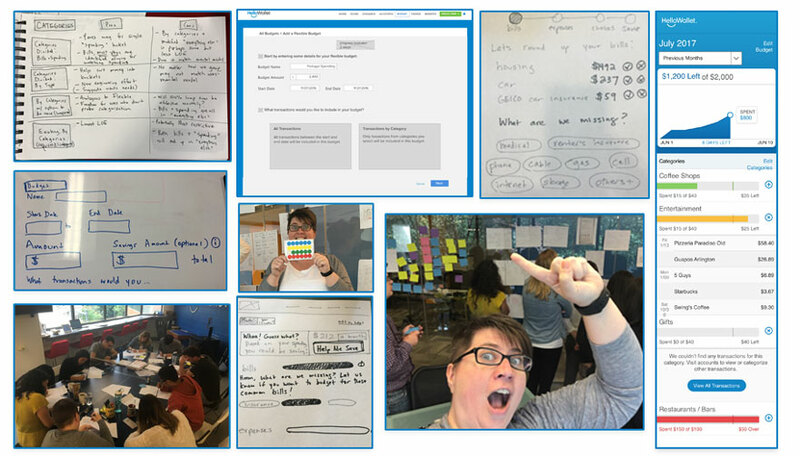 I've always enjoyed teaching - it's a central part of the work I do today (I often say that UXDs must be teachers - UX is as much a culture as it is an area of subject matter expertise!) But teaching wasn't quite the right fit. I found a home at The Yankee Candle Company in South Deerfield, MA. Working within the wholesale division, I worked my way from being a data entry temp (through an employment agency) to Wholesale Research Manager. What's more, I put together the company's first research methodology for approving new wholesale retailers (from small Mom & Pop shops to large Hallmark chains of 200 or more stores.) In my final quarter there alone, the wholesale business grew by over $1.25 million, and having learned and adopted any and all tech tools I could get my hands on to create a research program (from Excel forms and complex functions, to a GIS mapping program) - I was once again sure that tech was my thing. I moved on from Yankee Candle to spend several years at the Hampshire Educational Collaborative (now Collaborative for Educational Services) in Northampton, MA. I did technical support and some network admin work, but I also began training programs across Mac & PC, started learning some HTML and realized that this was thing thing...however: I was just as certain I wasn't quite there, yet. I had the gut instinct that I needed to unite my creative past with my tech skills and instincts. I headed over to Greenfield Community College, a local program known for placing Foundation art students at the 4-year universities and art programs in the US: RISD, SAIC, and MASSArt to name a few. I talked to a professor about taking a Photoshop course in the evening, and left enrolled as a full-time art student after he saw my sketches and photo work. 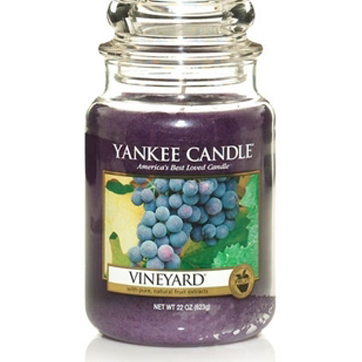 Fun Fact: During my first months at Yankee Candle, I was asked to test a major ERP software suite in development. I learned the keyboard commands (on Windows 95...) for Cut, Copy, and Paste. I took to art school like a fish to water. 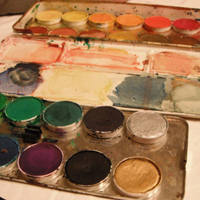 I studied traditional foundation art, which I believe all designers should study: Drawing, Color, Art History, 2D and 3D design. I also began courses in Flash, Web Design, and Photography. Perhaps more importantly, I began consuming design. I ate and slept every form of design, and art, I could get my hands on. From trips to galleries and museums in NYC and Massachusetts, to magazines, to web collections and sites and books, my desire to learn about everything from web design to the history of typography was insatiable. I also met Frederick Schneider, my first Design Professor, mentor, and now dear friend. An accomplished Illustrator and Creative Director, Rick guided me toward beginning my own career. Within a few months I was working as a respected freelance designer across print and web serving local clients. I also deepened my study of photography, winning a number of artists' grants, publishing work in magazines, and taking part in group gallery shows. After graduating art school, I navigated through a number of personal changes, moved locally, and landed a job at local NPR affiliate WFCR & WNNZ. At the station, I wore a number of design & tech hats: web designer, graphic designer, web master, trainer...and more. (This type of role is very typical of design in smaller communities.) During my time at the station, in retrospect, I became a UX Designer: I was at the helm of a project to completely overhaul the station's public-facing web properties. Guided by instinct and a research ability that I'm proud of, I made wireframes, held interviews with all stakeholders and constituents, and endeavored not to start with a pretty design, but rather to solve problems the station had with engagement. An example was launching a Classical Music blog for admired longtime music hosts Peter Reney and John Montanari. John found a voice in blogging and carried the habit through in his retirement! At this time, a number of forces in my life came together to emphasize to me that it was time to move to a larger metro area, and I chose DC. I'm glad I did. 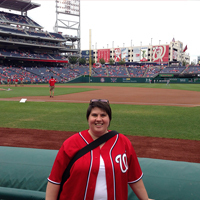 In DC, I found the inspiration and job opportunities to extend my work. From a web design gig that got me established in the area, I began attending every event and meetup I could. When I wasn't working or having fun with friends or family, I was reading, sketching, and developing skills. Those skills were recognized when I was offered a contract position on a newly-forming design team at Capital One in Vienna, VA. The 3rd Designer in on the new IxD team under Mick Winters, I was embedded on projects that stretched me to work across mobile (iOS, Android prototype), web, and concept-strategy. 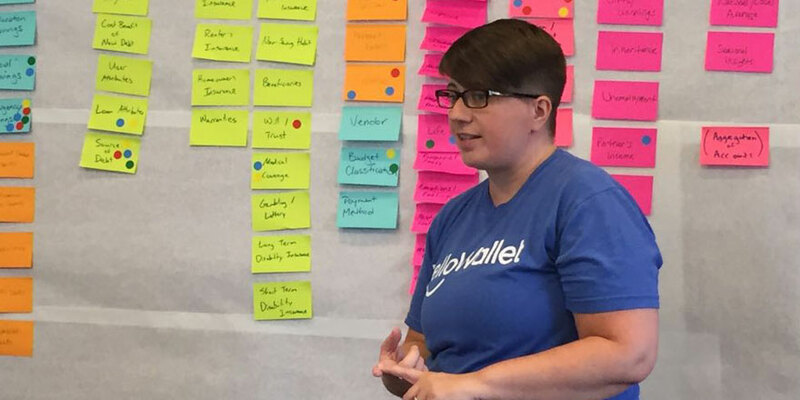 I took on all that was offered and expanded my responsibility across UX: from supporting 3rd party off-site development teams in an Agile Scrum Environment, to taking part in strategy sessions, I made work for C-Suite presentations and, critically, began focusing on user testing. During this time, I began to comprehend the incredible number of moving pieces that go into UX, UI, Product Design, and Design Strategy. I took a Stanford Course online at this time and discovered Design Thinking. Call it by any name you wish: Design Thinking gave me language to put to teaching and advocating for an iterative design process that encouraged a Test & Learn philosophy, making room for distinct ideation and defining success by meeting user's needs. 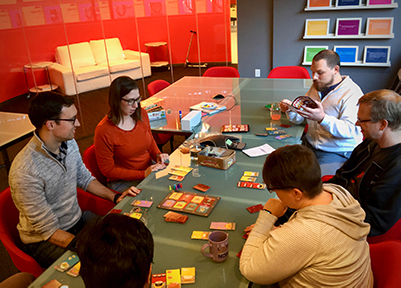 Using Design Thinking Methods, I began and led the growing design studio's first every Studio critiques, and went from assisting with testing to developing, leading, and conducting user research methods. 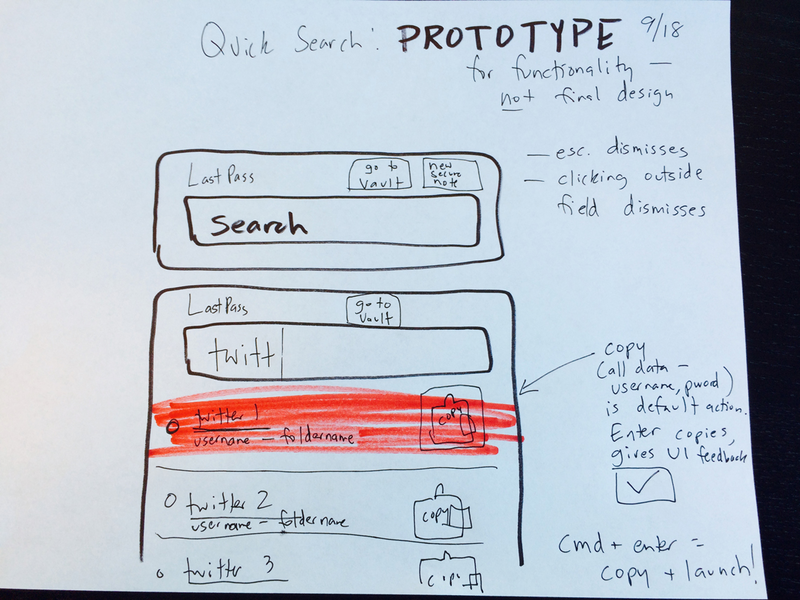 I was beyond hooked and found that I enjoy the entire spectrum of the design process: concept generation and strategy being all the more rewarding when you're shipping wireframes, user flows, and conducting test with paper prototypes. I followed several major projects throughout lifecycle including creating an iOS demo that was presented to Rich Fairbanks, Capital One Founder & CEO - leading to full funding of a major new small business banking platform. When my contract period ended at Capital One, I began a careful career search while doing Agency contract work with RP3 in Bethesda. 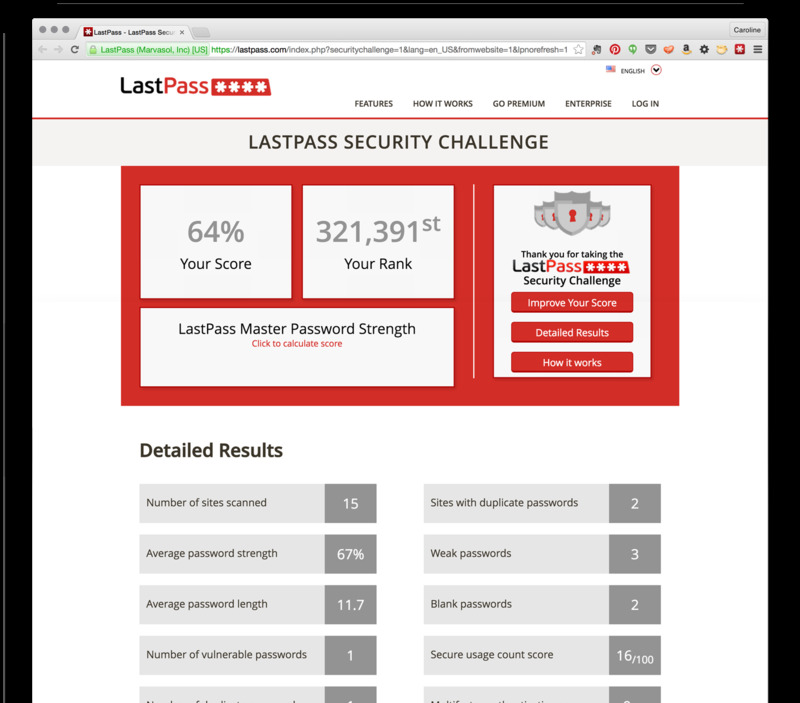 My search led to my current role as UX/UI Designer at LastPass, the world's leading Password Management startup. 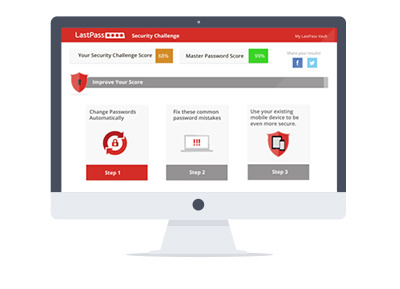 My work at LastPass spans mobile (iOS, Android), desktop (Mac OS), and browser plug-ins that solve a significant need: users require our product to not only manage and store their passwords, but guide them through an increasingly complex online life. Working with Founding and Senior developers (as the first UXD on staff, and first designer on the dev team!) offers the challenge of delivering lightening fast UX deliverables and solutions. I am particularly proud of launching a full usability testing program, and initiatives to simplify a feature-rich and complex UX to make users more able than ever to eliminate password pain. In addition, I've helped guide an emphasis on brand standardization across product and marketing, and contributed not only design improvements, but also importantly, gathered user insights to help guide new feature development as well as improvement and standardization of existing solutions. 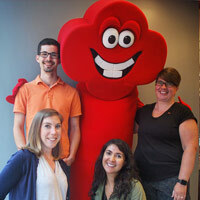 I am currently a Senior User Experience designer at KeyBank, working on bringing Financial Wellness solutions to millions of clients through digital and in-branch experience. 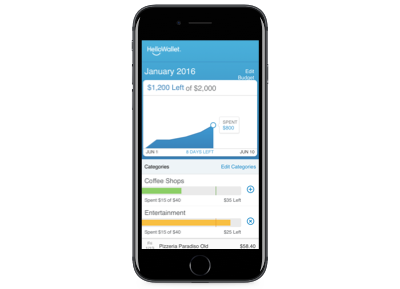 The HelloWallet team and product were acquired by KeyBank (from Morningstar) in July of 2017. What will @verycaroline do next?! 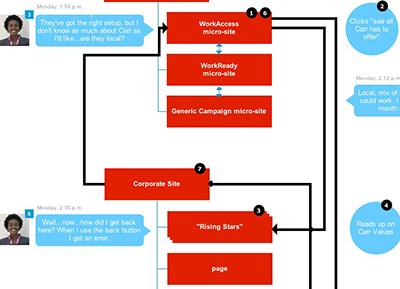 Using user journeys to foster empathy and lead clients toward reducing complexity can result in improved conversion. Carr Workplaces was a client who not only needed wireframes for their new web offering, but also assistance with making a complex product offering - well understood by their dedicated sales reps - accessible to their users. I contributed design strategy (simplification of offerings) and concept work (new ways to organize the site) as well as concrete deliverables. 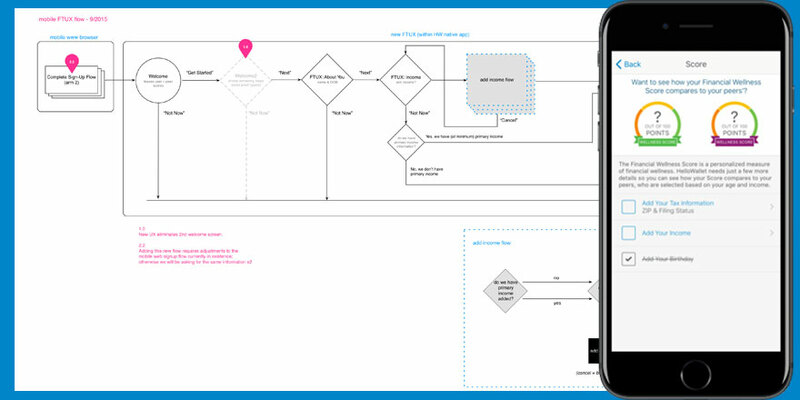 User flows in the form of a narrative user journey/flow helped stakeholders on the Carr/non-agency side understand the frame of mind of their end user: a varied user base from large corporate, to young startup tech workers. 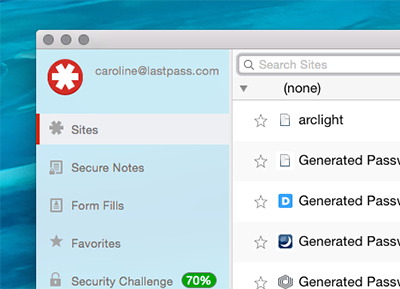 LastPass for Mac OS is a desktop software app rated 4 stars, available in the Mac App Store. 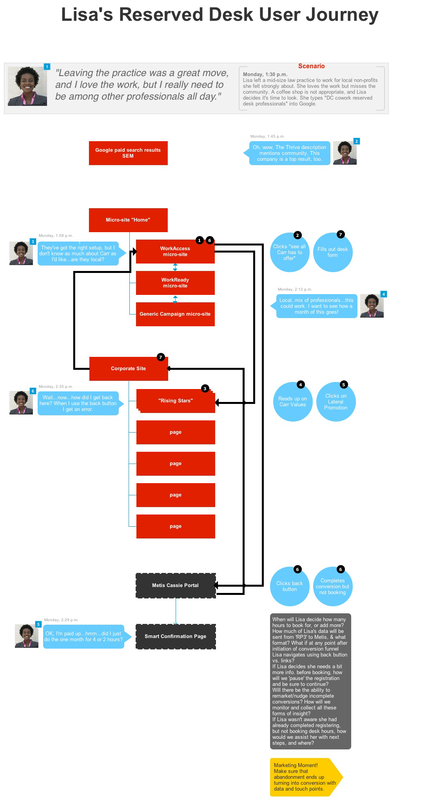 View an interactive prototype of this peer to peer payment app. 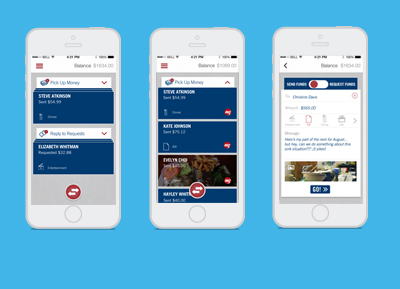 I was involved as lead UI designer for a fully functional, coded iOS version of the app, embedded on an Agile team with an off-site 3rd party shop contracted to Capital One. The app was presented to C-Suite level executives. Following a round of presentations and strategy/concept pivot for the app I conducted significant user testing not only for a new, prototype iOS version of the app but also on paper prototypes and money transfer concepts. Tests were conducted in Virginia and NYC in order to reach differing user populations. Responding to user requests and mandates has improved the apps rating 1.5-2 stars since my involvement. 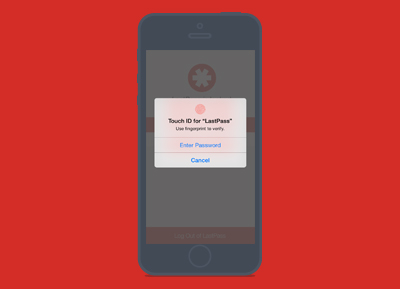 I've utilized usability testing, pattern research, settings taxonomies and significant team UX education in order to not only successfully launch new features (iOS8 Touch ID integration, Safari LastPass extension) but also remediate user issues and concerns. In addition, I art directed work with our visual designer in order to adopt a suite of brand-consistent, meaningful icons for features like secure notes. A focus of my efforts towards improving usability has centered on translating a complex array of user settings to more appropriate and useable controls for the iOS user market. 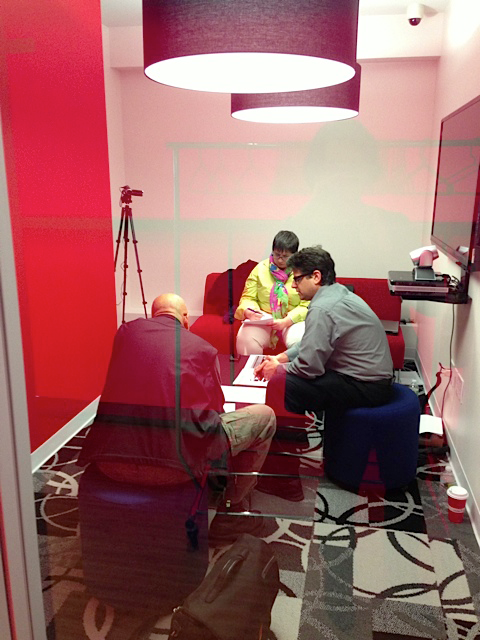 In February 2013 I was called into an all-day session to work with teams of strategists and business executives on ideation around novel and potentially disruptive offerings in the small business category. 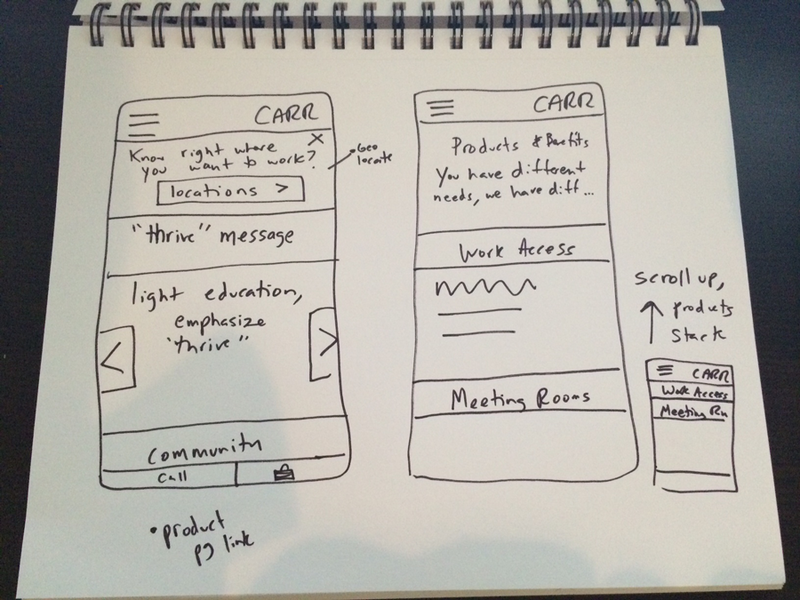 I jumped in and created sketches and paper prototypes which - combined with the many ideas generated by the dynamic group - formed a basis for a vision prototype. 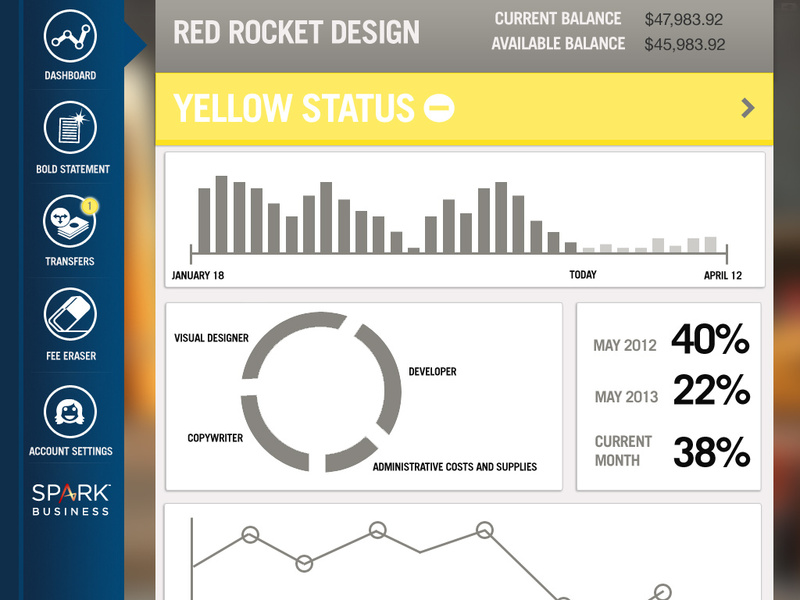 The vision prototype consisted of hi-res comps depicting a tablet experience that went past business as usual banking and presented the small business owner with tools that would empower her to not only have a clearer view of the present, but also be able to glance into the future via smart tools. 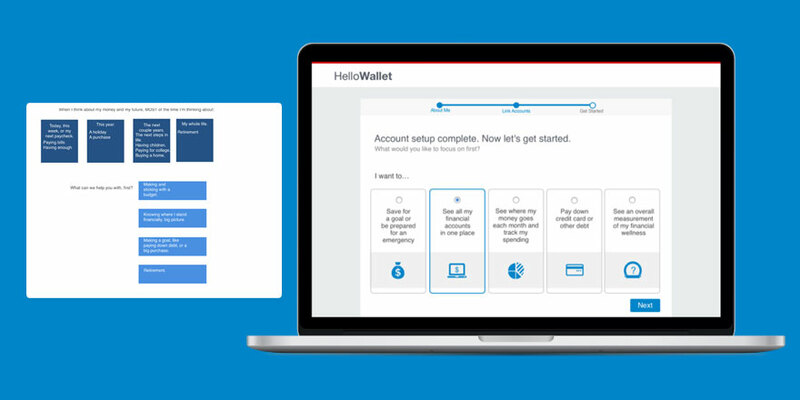 From writing a user story to conceptualizing these tools to creating the hi-res comp, I created a tablet demo that helped secure funding for years of work on the Capital One Spark Business offering. Throughout 2013 I have been engaged in the full spectrum of development for this platform which will span mobile, tablet, and web. Working with product owners, high-level accountable executives and fellow designers I have heavily influenced concept development, conducting empathy research interviews, compiled insights, and created UI and visual design. 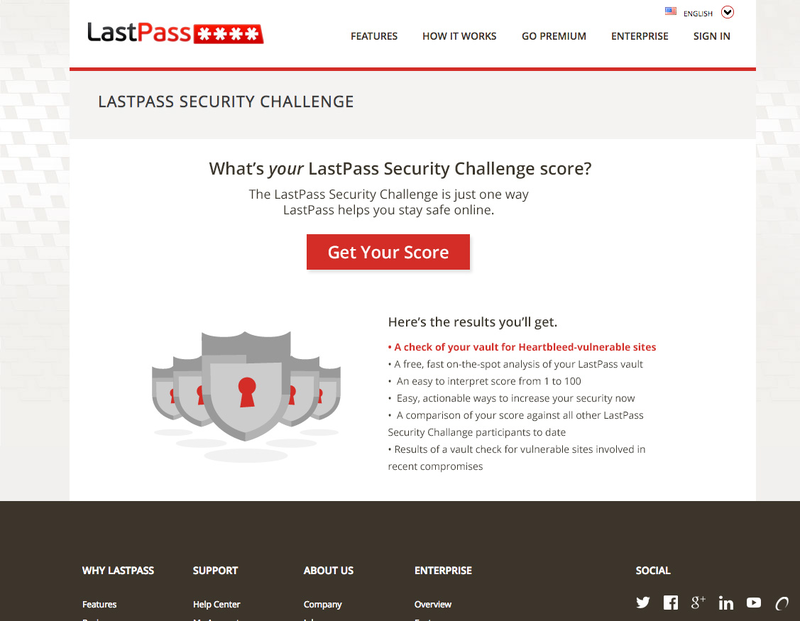 At times a picture can be worth a thousand words!In this case, the LastPass security challenge had been implemented by developers and while the data presented was extremely valuable, users had a hard time relating the data to the brand, their existing "vault" (where passwords are stored), or taking action on results/data. 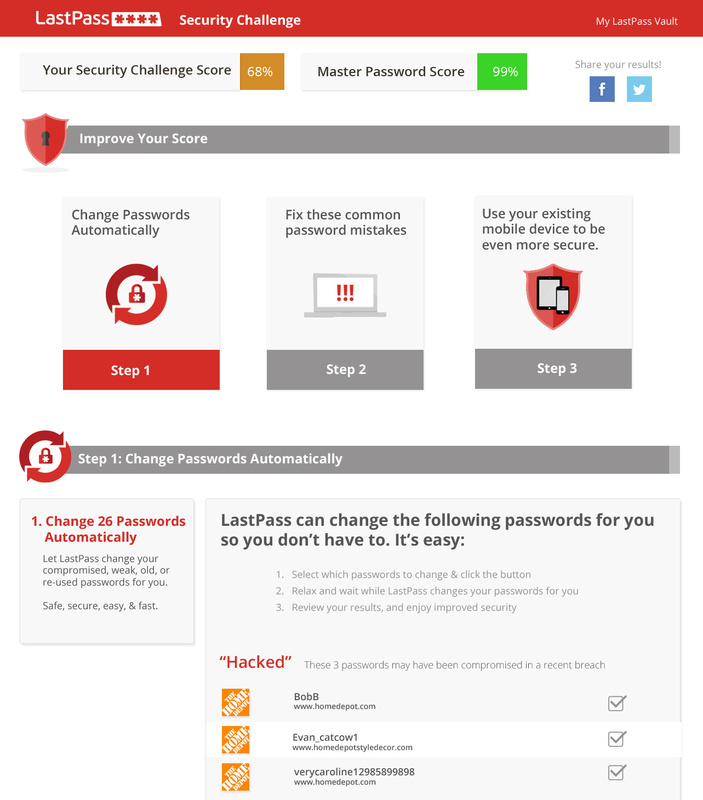 My work on the security challenge has been a truly iterative process that led to complete overhaul of the challenge itself, as well as all modal and dialog styles throughout the web experience. The second phase of the project brings the challenge from simply well-presented data to discrete actions a user can take to improve her score. 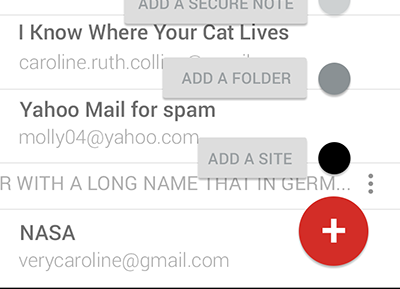 LastPass's Android mobile native client was one of the company's most well-loved and well-used platforms with an enthusiastic and engaged user base. 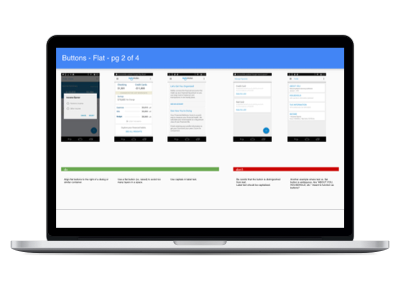 Updating the app to Material Design standards offered a contemporary look and feel in line with Android design standards. 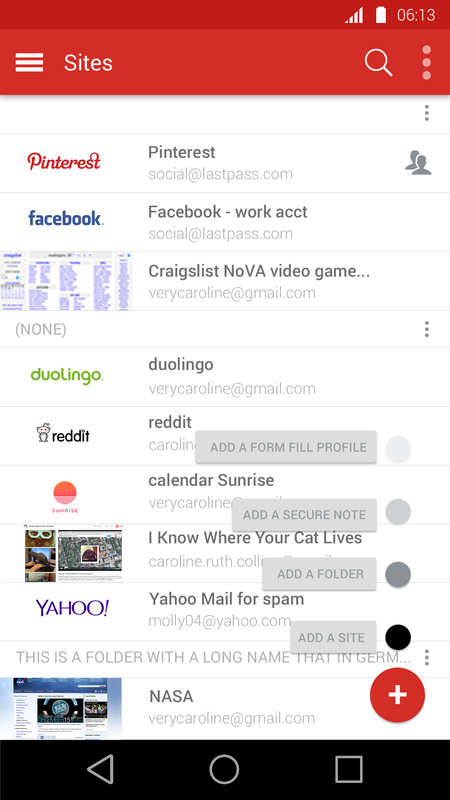 The most common app actions were placed in a flyout menu one tap away, removing several unnecessary layers of hierarchy and saving users time. HelloWallet’s web budgeting feature resided in an end-of-lifed, deprecated tech stack and our team was not able to iterate or respond to user requests or problems. In addition, the web budgeting feature was out of parity with a more recently developed mobile native-only flexible budgeting system. Web budgeting also wasn't responsive, and was blocked from use on small screens. 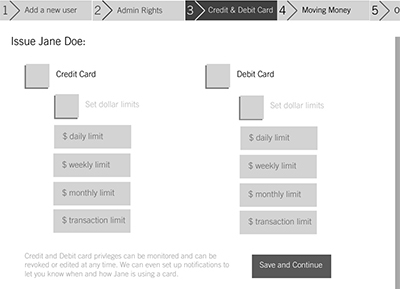 User interviews and use data showed that the users of web budgeting found fixed monthly budgets confining, that they were confused about some of the information architecture and naming conventions employed, and that small usability problems and inconsistencies in interaction patterns (such as save/edit/cancel) resulted in a lot of friction. After a sprint zero devoted to competitive benchmarking research, user interviews, review of existing use data, and watching new usability tests we ran on the existing experience, my colleague and I facilitated sketching and rapid prototyping sessions that were attended by the full product team of management stakeholders, product, engineering, QC, and data. Because none of HelloWallet’s previous features had been designed or built for mobile, my colleagues and I were not only designing budgeting for the web, but also creating a small screen responsive pattern library as we went! Though we knew this would add some time and weight to the project, we also knew it would pay off in terms of consistency and eventual speed/momentum. Much to our squad’s surprise, our first deployment to the public was put on hold when KeyBank acquired HelloWallet from Morningstar in June of 2017. The amount of information needing exchange during a merger and acquisition is staggering. During the first 90 days of the KeyBank/HelloWallet M&A, I was tapped to lead one of six transition teams. 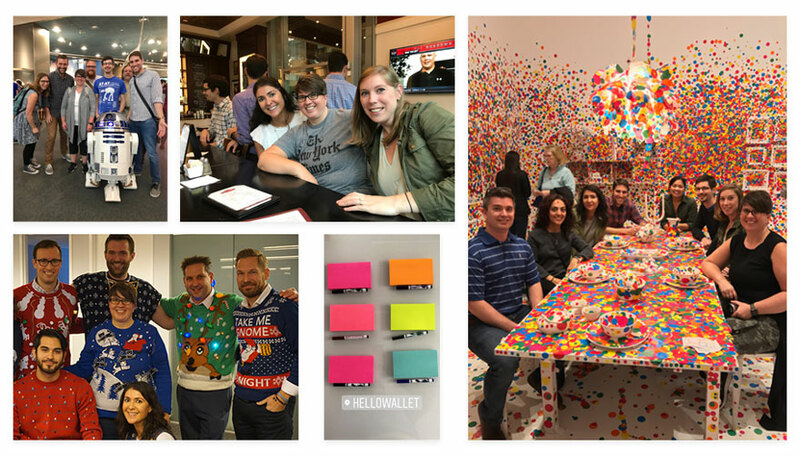 My team’s mission was to ground our partner org in the types of client data we take into account when building experiences, and to look toward how KeyBank might build these data points into the various “engines” that will power our integrated financial wellness experience. The scope of my team extended beyond just our primary data-centered function in that we had the opportunity to bring banking stakeholders into user-centered design techniques in active, participatory ways. The first step was understanding the dense data models KeyBank was using to blueprint the upcoming financial wellness data engine, and then participate in extending these data webs to include additional kinds of data that impact our client’s financial well-being, types of data that differ from transactional data sets. To facilitate this process and gain stakeholder buy-in, we mapped client life journeys, both around financial decisions (the purchase of a house, saving for college, or buying a car) and major life events (moving, the adoption or birth of a child…) From these journeys and the related data points, we built out archetypes bankers could use to test out data models. 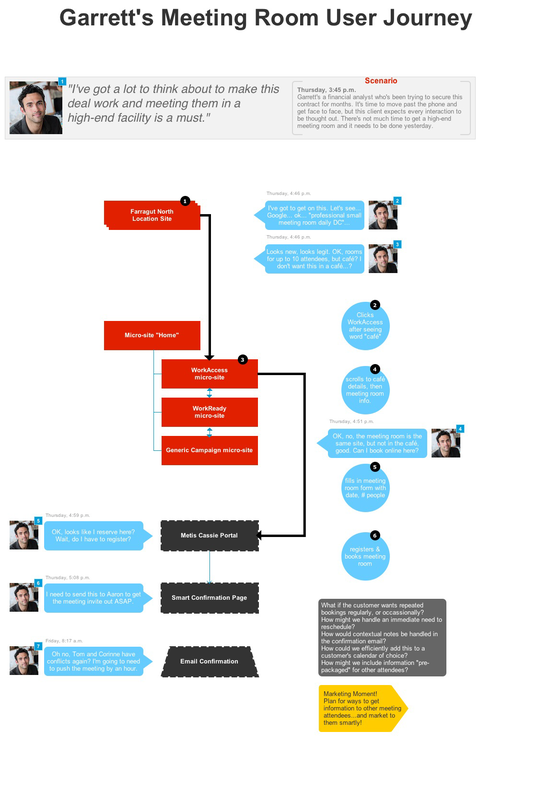 In the end, we built out an entire new segment of client data points. Perhaps more importantly, we involved bankers and executives stakeholders in the design and user research process directly and through participation, illustrating how human centered design techniques carry over not only from the design we do for clients, but also in how we onboard each other as new colleagues who sometimes speak different work languages. 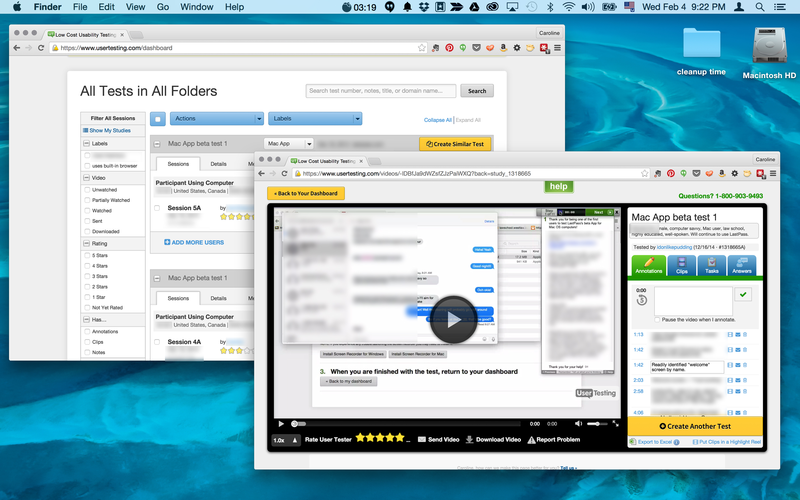 The iOS and Android native HelloWallet clients see some of our highest engagement. Enhancing ease of authentication via TouchID and password manager integration eliminated friction and got mobile users into the experience faster. The onboarding experience needed to be lightweight enough for mobile while also allowing for the collection of enough data points for our user to get a score. 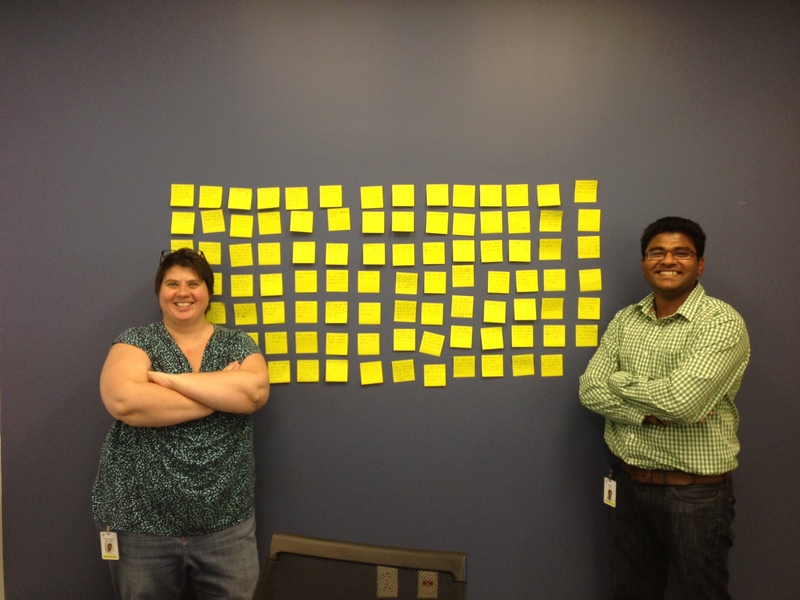 During a self-directed “innovation sprint” I led a cross-functional team that included visual design, QC, and engineering. In one week, we fully implement login to our iOS client via password manager integration. Following this effort, I worked with the same mobile squad to implement TouchID on iOS, including improvements to the architecture of the related Settings area of the app. We also reworked the PIN authentication and lock screens to reflect the current more contemporary HelloWallet UI and brand standards. To improve the onboarding experience, we leveraged the behavioral psychology principles of endowed progress and set completion, implementing a checklist experience to entice users to complete their profile information. This resulted in more users with a complete profile and a more accurate Wellness Score for more new users, and gave our onboarding experience a more concrete first step. Pattern libraries and design systems not only ensure consistency of experience for our users, but also allow for designers to solve large and important problems, vs duplicating effort on rethinking common elements and patterns. I have been and advocate for and participant in creation of pattern libraries and design systems at LastPass, HelloWallet, Morningstar, and most recently KeyBank. I have particular areas of interest in common behavior patterns users encounter when trying to get things done. Patterns like save / cancel / done and confirmation of edits/changes are only simple and invisible to our users when we as designers get in the weeds and solve for consistency, predictability, and every last finesse detail. I’ve been an advocate for and leader in incorporating design survey methods via Usability Hub and Zerb into pattern library creation. A difficult reality of the HelloWallet onboarding user experience is that we must collect quite a bit of data from our users to get them up and running. Further, the HelloWallet product itself is large and somewhat complicated. We heard from new users we interviewed, and witnessed through real use data, that our clients weren’t quite sure where to begin. 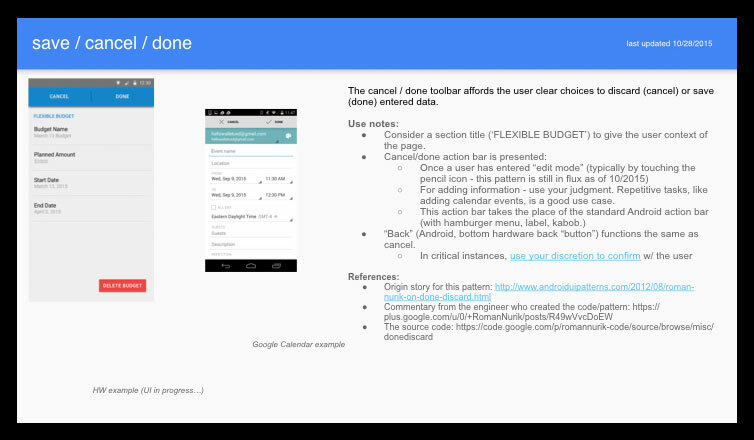 As a consequence, they often completed the first time user experience and went no farther. During some downtime prior to budgeting sprints, I had the idea that we might replace the final step of our new user experience (a data-gathering step) with a moment where we give the client a simple choice of a goal to springboard them in to the most relevant section of the app. 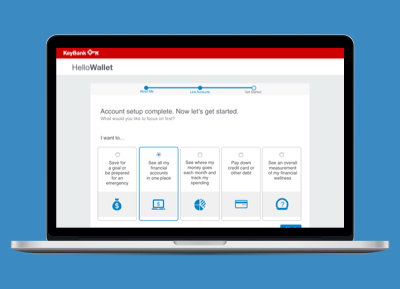 I rapidly prototyped this experience and created a clickable prototype that I was able to sell to our product team, and this became the first experience we shipped in the KeyBank ecosystem. 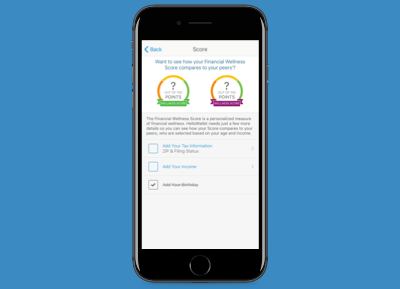 Not only did we see higher user engagement following the addition of this step, but we also heard from our in-branch wellness partners that they found this step gave greater potential for focused wellness conversations in the branch. 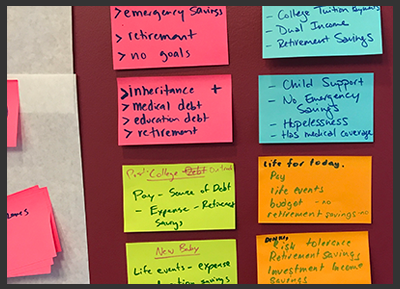 Further, allowing the user to choose from a limited set of goal choices allowed us to gather in-product data to guide which problems we should prioritize solving in what order of importance to align to our KeyBank clients’ preferences. We spend most of our waking hours at work and I firmly believe that health, safety, inclusion, and trust are rights that each of us are responsible for fostering in our workplace. If there is something I can do to make a teammate’s life easier, better, or more fun at work I feel very happy. 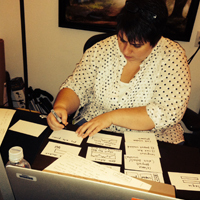 The user experience of my teammates is as important to me as the user experience of my clients. 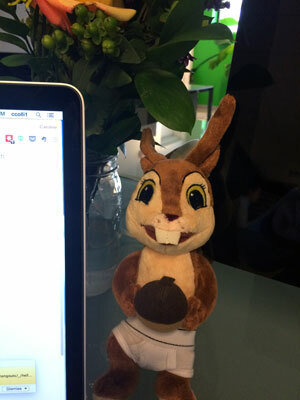 I’ve been the organizer of team game night, organizer of team museum and cultural outings, Brightfunds charitable giving representative for the highest-engaged site at Morningstar worldwide, United Way team representative for KeyBank, and somehow the creator of a tradition where every HelloWallet employee from 2015 - 2018 spent time with New Employee Underpants Squirrel.